EXCLUSIVE! 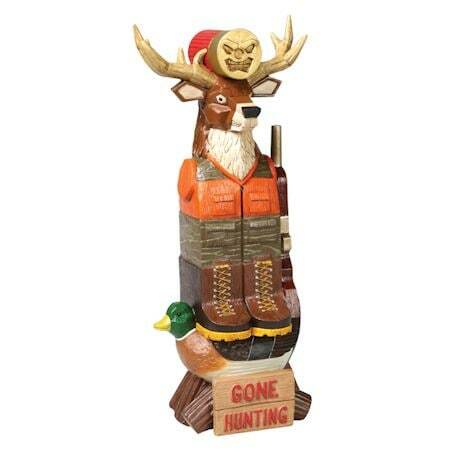 Perfect garden, yard or home accessory for hunters' year round! A good luck talisman for the outdoorsman or woman! 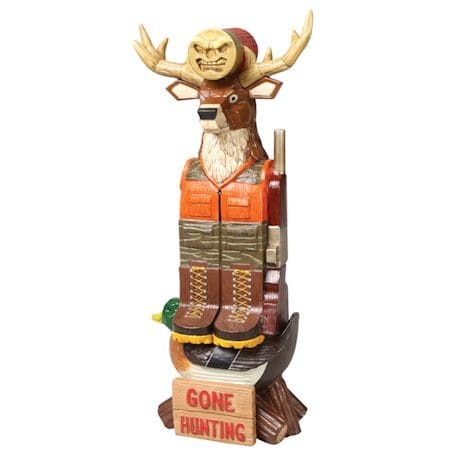 Featuring a 10 point buck in blazing orange and camo, a big wild mallard, rifle and topped off with a totem-faced shotgun shell. Weather resistant polystone resin detail looks like carved wood. Keep one at home and one at the camp! 16"x 5½"x 4½"